Provide critical importance in Asset Protection of Intellectual P roperty! 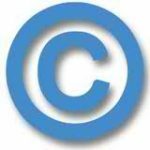 Copyright protection is much stronger from the USPTO in court and common law in these current days favors the registrant with the Certificate of Copyright. If an advisor is telling you to put your work in an envelope and mail it to yourself, you had better beware. As in the case of Harry Potter and J.K Rowling, a New York author, Nancy Stouffer, claimed that she conceptualized and wrote the original Harry Potter. Her book was self-published and self distributed on the East Coast. Stouffer claimed that J.K. Rowling stole the characters from her 1984 book “The Legend of Rah and Muggles” which had a character called “Larry Potter.” Nancy Stouffer had the burden of proof to claim that she had the rights before J.K. Rowling. Stouffer claimed that she did not file any papers because she had “Common Law” rights and no paperwork was necessary other than the original work and “first to use” claim as in trademark law. The case went on for years. We all know who won the case. The well-known and successful author of the Harry Potter series is J.K. Rowling.